A federal judge late Friday slapped down a bid by a Democrat activist to void a 2016 law that makes "ballot harvesting'' illegal and allow the practice to resume for Tuesday's primary. Arizona is entitled to make "ballot harvesting'' a crime despite a federal law that allows anyone to deliver a letter, the state's legal defenders are arguing. A new lawsuit seeks to block Arizona from enforcing its ban on "ballot harvesting'' for the upcoming election, claiming the state has no legal authority to regulate who can and cannot deliver someone else's mail. Attorney Bruce Spiva contends that the Republican-controlled Legislature acted illegally last year in making it a felony for an individual to take anyone else’s early ballot to a polling place. Arizonans won't face prison time for helping a neighbor or anyone else return an early ballot. 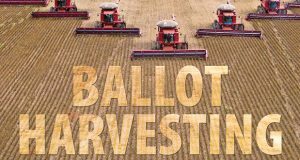 Federal judges will give Democrats one more chance to make their case that a ban on “ballot harvesting” is illegal. Federal appellate judges on Wednesday questioned assertions by attorneys for the state and its Republican Party allies that a new law outlawing “ballot harvesting” does not target minorities. A federal appeals panel that rejected a Democratic effort to block a new Arizona law barring groups from collecting early ballots from voters now plans a full hearing on the request.